Reddy said that KCR’s ‘dictatorial attitude’ had gotten TSRTC’s employees worried about their jobs. 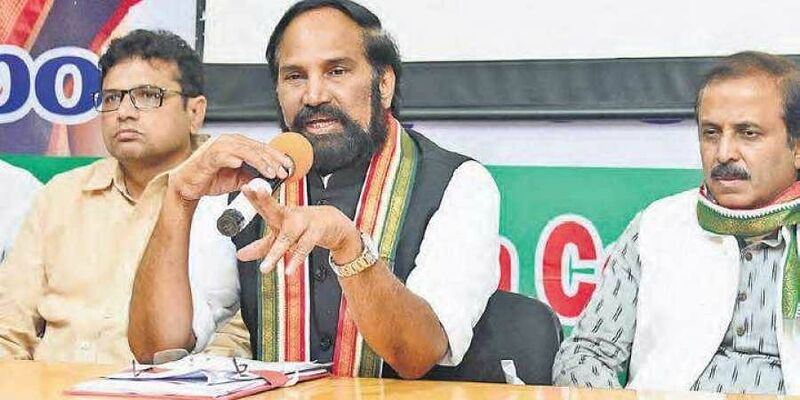 HYDERABAD: TPCC chief N Uttam Kumar Reddy announced on Thursday that the Telangana State Road Transport Corporation (TSRTC) would be merged with the government if Congress was voted to power. He also assured employees of the firm that they had nothing to worry about as this merger as their jobs will not be in jeopardy. “Everyone thought that we will have a democratic rule after Telangana is separated from Andhra Pradesh. But the State has become shackled under K Chandrasekhar Rao and his autocratic rule. Like all sections and sectors, KCR has neglected even RTC. Instead of supporting the firm, which is burdened by rising fuel prices, he tried to privatise RTC citing losses,” said the Congress leader. Speaking at an RTC Telangana Jateeya Mazdoor Union (TJMU) meeting in Hyderabad, Reddy said that KCR’s ‘dictatorial attitude’ had gotten TSRTC’s employees worried about their jobs. “But I assure RTC employees that when we come to power and when the company is merged into the government, we will not just provide you with job security but we will also take care of your health,” he said. He also assured the employees that their parents would be provided with old-age pensions and promised them other sops. Earlier in the day, Reddy, along with other AICC leaders, flagged off senior leader V Hanumantha Rao’s campaign vehicle ‘Indira Vijaya Ratham’ at Gun Park Memorial in the city. “KCR is fearing the grand alliance. It has been formed to put to an end to the autocratic rule of TRS and bring back a democratic rule in the State,” Reddy said. He added that Chandrasekhar Rao was making baseless allegations against Opposition parties and this was a sign of his frustration. “By forcing early polls, KCR has only given other parties an opportunity to dethrone him earlier than 2019,” he said. Soon after the vehicle was flagged off, V Hanumanth Rao began his journey to Gajwel. He promised the crowd Congress would come to power in the State and that it would fulfill all the promises that KCR had ignored.